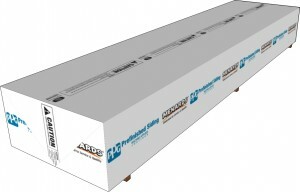 The V Style Cover manufactured at Flexpak is a pallet cover for roll end-line packaging lines. 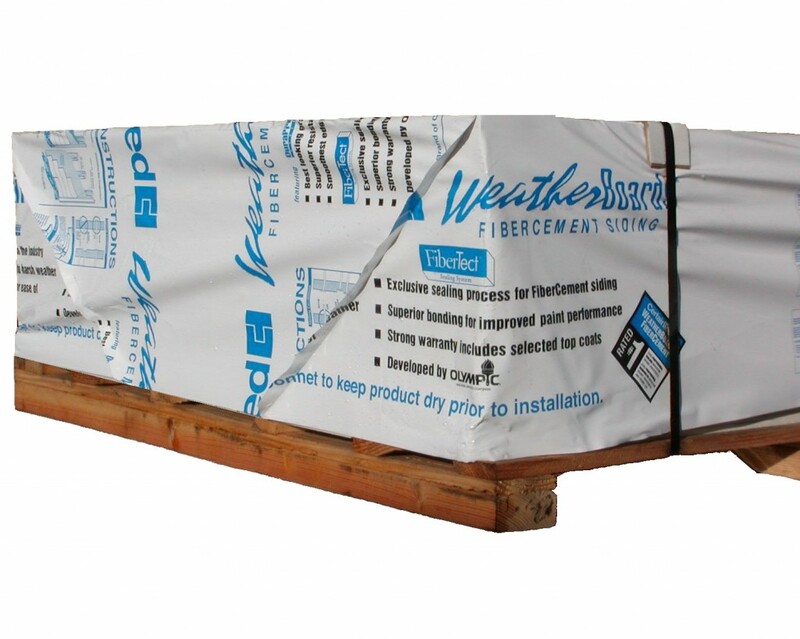 With the ability to be manufactured at any length, the V Style Cover is a square fit cover manufactured on a roll. With the capability to have high graphic advertisement, the roll stock V Style Cover is a pallet cover for those customer seeking a product of elegant design and custom fit. This product can be manufactured as a single color opaque film or a coex film, allowing for a pallet cover with black on the inside and white on the outside. The coex V Style Pallet Cover allows for a reflective outer layer, protecting against UV sun damage, while also keeping the pallet cool by the black poly forming the inside of the pallet cover. A coex V Style Cover is a great option for those looking for a pallet cover on a roll for a production line of lumber, wood, composite, cement, or siding products. The V Style Cover also is also one of the few covers that can have high graphic advertising, be square fit on custom sizes, while also being delivered for use on end-line roll stations. Is the V Style Cover right for your pallet? If considering the V Style Cover as an option for a pallet cover consider the width of the pallet to be covered. If the height of the pallet is half or less the measurement of the width then this is certainly an option for your company. If this height is greater than ½ the width of the pallet the options of a Square Fit Cover or the Y Style Cover might be right for you. Please contact Flexpak at any point to discuss different types of packaging options for pallet covers manufactured on a roll.